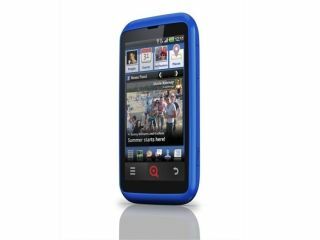 Carphone Warehouse and Best Buy have announced that they have bagged exclusive rights to the INQ Cloud Touch, an Android 2.2 device that comes with deep Facebook integration. The mobile phone retailers have put the INQ Cloud Touch up for sale £299.95 SIM free or if you want to have the phone on contract, you can have it for £20 a month. There is also a PAYG option, which will set you back £199.95. TechRadar has already gotten a hands on: INQ Cloud Touch review of the device, where we gave the following assessment: "The Facebook integration means you don't have to jump out to another application to get things moving. "It's a neat idea and in our first play it worked as fast as we could expect, with an easy skip to the messaging screen from a contact page." The INQ Cloud Touch UK release date is 6 April, so you haven't got long before you can Like the phone.